Patrick Blindauer (Musical Director) returns to the Lyceum, having previously worked on The Wizard of Oz (2013), Sanders Family Christmas (2001), and the summer season of 1995 (Carousel, Hello Dolly!, Pump Boys & Dinettes, The Odd Couple, and The Music Man). St. Louis projects include The Wizard of Oz (The Lion) for Variety Theatre and 42nd Street (Mac) at The Muny. On-screen, he was featured in 7 episodes of Strangers with Candy and had a speaking role in A Beautiful Mind. 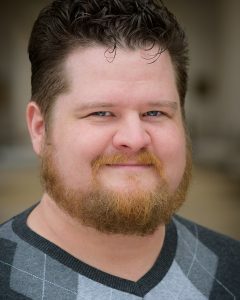 Patrick is also a graduate of The Conservatory of Theatre Arts at Webster University and constructs crosswords for places like The New York Times and his website, www.patrickspuzzles.com.